This week, the NCAA ratcheted up the pressure on North Carolina lawmakers to repeal HB 2, "the bathroom law." The collegiate sports group has laid down a clear ultimatum – repeal quickly or forfeit championship events being located in the Tar Heel state through 2022. Planning to announce their sites around the middle of April, the NCAA said in a statement, "As the state knows, next week our various sports committees will begin making championship site selections for 2018-2022. Once the sites are selected...these decisions are final." Really? Do they mean "final" like the one they suddenly yanked this year from Greensboro, North Carolina, and rescheduled for Greenville, South Carolina? Is this the way they define "final?" And, of course, this is not lobbying by the NCAA either. Yeah, right! 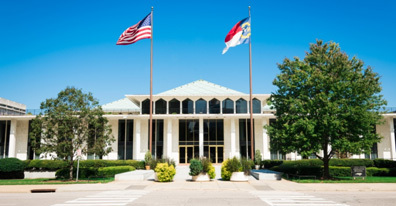 Nevertheless, these dynamics are enough, along with additionally related stresses to cause some NC Republicans in the state House and Senate to suffer from a serious case of political reflux – enough requiring a legislative "Rolaid" for some relief. 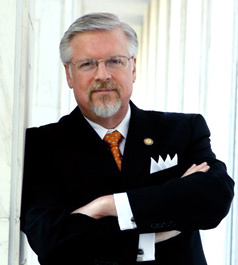 Thus, there has been a constant buzz within the state's legislative offices, conference rooms, and halls of power for some kind of compromise legislation on HB 2. A few proposals have been floated, and one even filed. Still, another may offered. What's wrong with compromise? Nothing, except whenever it means a sacrifice of principle. Furthermore, I'm reminded of that uncertain soldier during the Civil War who, wanting to play it as safe as possible, hoping to be relieved of the weight of war, dressed himself in a blue coat and gray pants, only to find that he got shot from both directions. When the right path is taken in life, whenever we stand up for what's true, hostility frequently meets us along the way. It is then that we are often sorely tempted by the concessions of fear. Retreat, negotiate, bargain, concede, we are told. Anxious fear chills and kills. Numerous are the places in Holy Scripture where God addresses this kind of fear with words of encouragement for the faithful. "Fear not," says the Lord, "for I am with you; Be not dismayed, for I am your God. I will strengthen you, Yes, I will help you, I will uphold you with my righteous right hand. (Is. 41:10)." Numerous also are the examples of those who forgot God's promise of help and gave up before their blessing arrived, or tried to solve a problem in their own strength, creating greater difficulties for themselves than the ones they feared. The story of Abraham and Sarah in the book of Genesis is one example. God had promised the couple something most meaningful to a nomad – a great progeny. But Sarah, Abraham's wife, was barren and couldn't have children. The two waited many years for Sarah to conceive, but still no child. So despairing of ever bearing children of her own, Sarah gave her handmaid, Hagar, to Abraham. It was a common custom of the day, to which Abraham agreed, because the children of such a union would legally be reckoned as Sarah's. Yet the arrangement was not of God. The son born of Abraham and Hagar, Ishmael, was not the son of promise, Isaac, which resulted in serious issues that robbed them of domestic tranquility. In fact, it created the occasion for animosity between the two sons and both their physical and spiritual descendants that live on into the present. W. H. Griffith Thomas, the great Anglican cleric and scholar, has noted that it has been well pointed out that the existence of Mohammedanism [Islam] today is really to be traced to Abraham and Sarah's false step; Mohammedanism is in some respects the deadliest opponent of Judaism and Christianity. "Isaac and Ishmael still struggle in fierce opposition," says Thomas. Indeed, they do. Abraham and Sarah should have waited for God to act, but out of their fears and anxieties, they took matters into their own hands. They compromised on principle, and it was costly for them and their posterity. Isaac, the promised son, was born to Abraham and Sarah miraculously – long after their time for bearing children was passed. No one would have ever believed it could happen, but it did. F.B. Meyer, a contemporary of the renowned evangelist, D.L. Moody, has eloquently explained the lesson. He wrote, "God has his set times. It is not for us to know them. Indeed we cannot know them...He just says, 'Wait. I keep my word. I'm in no hurry. In the process of time, I'm developing you to be ready for the promise." There is so much at stake in the survival of HB 2. It's about something so much bigger than bathrooms. HB 2 is truly a just law, and its defense is a fight for common sense that must be won for future generations. Dr. Keith Ablow, a psychiatrist, and a member of the Fox News Medical A-Team has said, "The bathroom debate is really a debate about the fundamental way we Americans will define any truth – whether as something simply felt by an individual or something scientifically demonstrable and verifiable...if we believe that transgender individuals must use the restrooms they choose, one could argue that many of our cultural institutions must flex away from fact. And one could argue that cultural chaos will result." When we are in the right and challenged, God will help us with the struggle if we resist temptations by the concessions of fear. We need to trust Him implicitly. Don't agree to a deal at the expense of principle. Don't move out ahead of Him. Wait for the fullness of his deliverance and relief. I think we're already seeing some of the Lord's sovereign protections and benefits for our state. Despite the business boycotts, despite the loss of "high profile performances and sporting events" related to HB 2, the Washington Times correctly reports that none of it has derailed North Carolina as a "regional and national powerhouse." Tourism is thriving in the Old North State, said the Times. The state ranks fourth in the nation for "attracting and expanding business with the arrival of 289 projects, and seventh in projects per capita." The Times continues, "North Carolina finished first for drawing corporate facilities in the eight-state South Atlantic region," and ranks No. 2 in the nation for business. Plus, as many as 17 states across the country have filed similar legislation to HB 2. None of this is coincidental. Instead, I suggest it's providential. It may seem as though our state has lost the narrative in the liberal media, but it's only a matter of time before the truth completely catches up to their false reporting. What is desperately needed now is patience, perseverance, and prayer. The latter of these three cannot be stressed enough. To borrow a sport's analogy, one with which the misguided NCAA should be familiar, the referee ain't blown the whistle yet. HB 2 is a year old and we've moved the ball significantly down the court. Our state is scoring and actually ahead. We can win, if we don't let evil and nefarious forces make a steal. I urge lawmakers to embrace the inviolable promise of God, "Let us not grow weary or become discouraged in doing good, for at the proper time we will reap, if we do not give in" (Galatians 6:9).